Do you explore morale before you take that job? It may sound like a silly question yet many people do not. Then, once inside, they realize that morale is not a priority of that company. So instead, do yourself a big favor and explore morale in advance! Here’s how. How do I know that many people do not explore morale before they take a job? Because it happened to me more than once. Moreover, I hear it from many when I coach. Why don’t people explore morale ahead of time? Let’s start with the last one first. You may be able to work for awhile in a company that doesn’t care about morale. Yet it will likely wear you down. Then, when you finally leave, you carry the scars with you. Moreover, you may get a reputation of job hopping which you must explain in the next job interview. Likewise, if you need a job so much that you just accept the offer blindly, you may suffer what you didn’t explore. Lastly, exploring morale will not make you look needy and high maintenance. 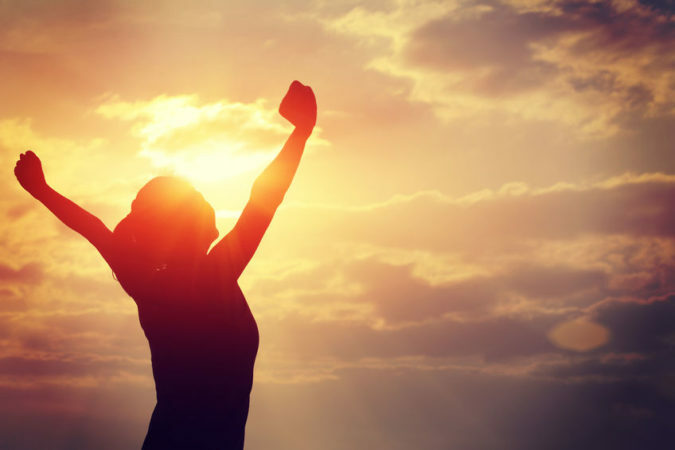 Companies that care about morale know that it is directly tied to performance and results. Those that don’t, you may not want to work for! Let’s now focus on how to explore morale. Prepare in advance and then get to it. Preparation: First define for yourself what you mean by morale and what keeps your morale high. In your eyes does it mean constant happiness? Does it mean great team spirit in good times and bad? 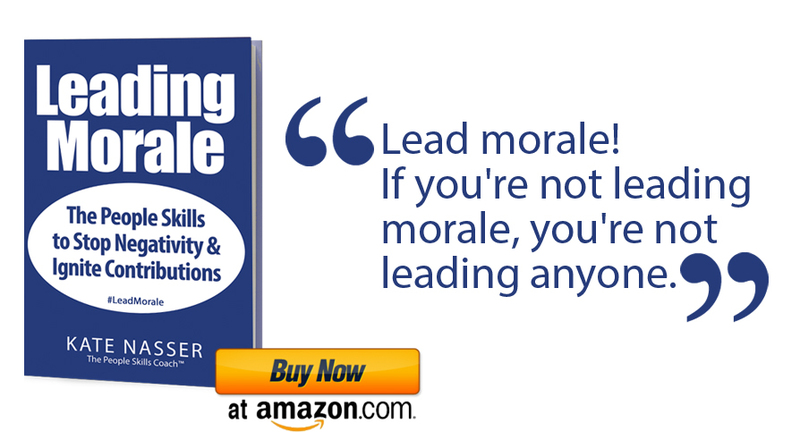 What do you expect from leaders in leading morale? This preparation step not only helps you explore it in yourself but also with potential employers. For each job interview, search online for info and news stories about that company’s focus on morale, employee recognition and appreciation. And for those that do, is it only around a well-established day (like March 1st in the USA) or is it ongoing? In the job interview, ask them how they define morale and how is morale there. If they can’t/won’t answer this, it is a red flag. Companies who focus on morale, are proud of it and like to talk about it. Alternatively, if they respond only with examples of having donuts or pizza on Friday, then they do not understand what morale really is. It’s definitely not an event. Explore the company and team culture. Are they into individual competition? Do they promote more collaboration and teamwork? How do they come to agreement when they disagree? Compare what you hear to what affects your morale. Ask what the current employees most appreciate about working there. Again, if they stumble to answer this, it suggests that they don’t focus on it. Companies that explore morale can easily answer this question. You can then ask what the employees would like to change about working there. Ask to speak to some of the staff level employees. Many companies have staff levels involved in the interview. If not, ask nicely. It never hurts to ask. When you speak with the staff level employees, ask them the same questions noted above that you asked leaders and managers. Many years ago, before the phrases employee engagement and employee experience even existed, job interviews were only focused on skills and what you could do FOR the company. As new generations entered the workforce in great numbers (like the millennials), interviewers’ mindsets changed. Thankfully, good companies now know that quality of life, career development, belonging, and dignity at work matter. That is morale! So as you search for a job, explore morale. It’s not the 60′, 70’s, 80’s, 90’s or 00’s anymore. If you want to work at a place that focuses on morale, then explore morale before you take the job! I have never read anything like this before. You give people a clear plan to both prioritize and assess morale during their job search. I have friends who are in the midst of a search and the recruiters are inconsistent in their communication and during the process, they’re getting mixed messages. They’re all too willing to overlook the signs but when you know what you value, you need to be honest with yourself if the culture is a fit or a flop for you and your career. You can never underestimate the importance of morale and culture match. Many thanks Alli. When you said “people are all too willing to overlook the signs (of bad morale & culture fit) … I was nodding for sure. It is so pervasive that I was compelled to write this post. Glad it will help many and thanks for sharing it with your connections.